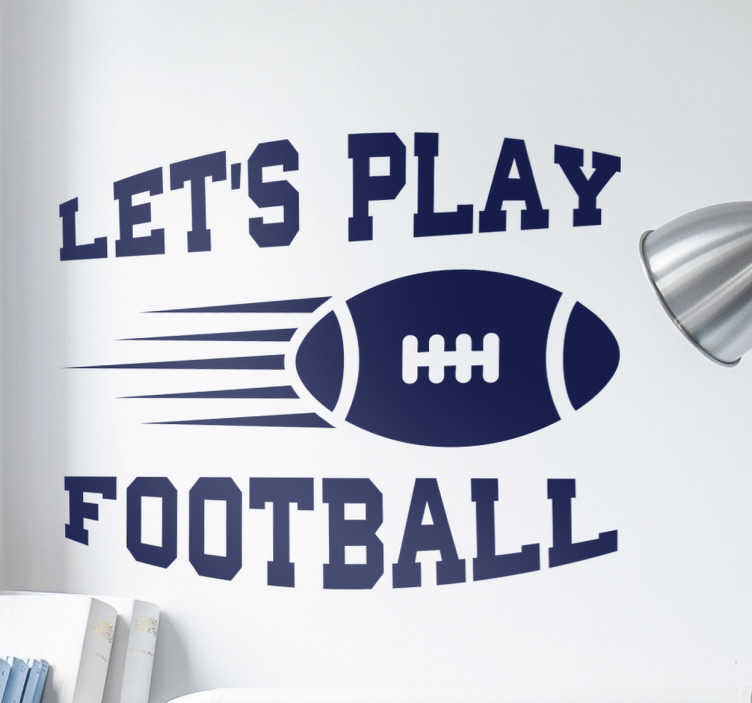 This wall sticker is perfect for anybody who is fan of the quote ´let´s play football´. It has the football player in different positions ready to play. This is very important for any player of American football. What are you waiting for? decorate your home with hits football sticker!